Harold Hongju Koh has produced an unabashedly progressive manifesto that seeks to explain why it is that many of the initiatives of the early Donald Trump administration relating to transnational affairs have not achieved their objectives, while simultaneously laying out a “counterstrategy of resistance.” To this end, Koh employs a theory of “transnational legal process” that has characterized much of his prior scholarship. 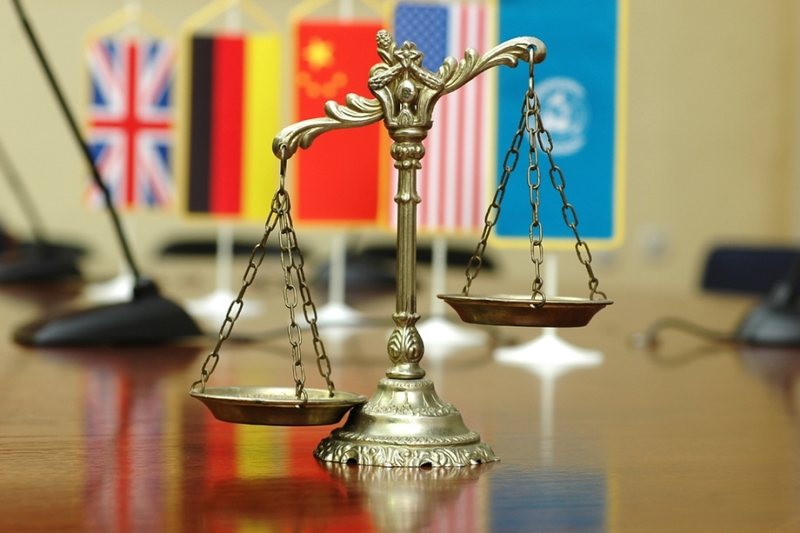 That theory stresses the manner in which international rules are internalized by States and the variety of entities other than governments that now participate in and shape the transnational legal system. The image of Lilliputians (representing transnational rules and actors) constraining Gulliver (representing the powerful presidency) comes to mind. As I was reading the book, I found myself asking various questions. Is two years a sufficient time for measuring the success of initiatives of the Trump administration? Doesn’t the Trump administration view the Supreme Court’s May 2018 decision upholding the immigration travel ban against predominantly Muslim countries (and thus reversing a series of lower court decisions that struck down the ban as illegal or unconstitutional) as a success? Is the technical inability to withdraw from the Paris Climate Agreement until 2020 really of great significance, as opposed to the myriad ways that the administration is neither cooperating with, nor pressuring, other States on emissions reductions, and instead is systematically rolling back climate-related regulations? But one issue I kept returning to was whether the theory was equally applicable in reverse; that is, could someone ideologically opposed to the objectives sought by Koh also find merits in the theory as a counter-strategy to, for example, a Koh presidency? In answering that particular question, one might start by asking has any “internationalist” president in recent years “permanently change[d] the nature of America’s relationship with international law and its institutions.” The answer would seem to be no, whether one looks to the efforts of Presidents Jimmy Carter, Bill Clinton or Barack Obama; all had successes to one degree or another, but a permanent reshaping of America’s relationship in this way was not one of them. The most obvious candidate for such a mantle probably would be a combination of Presidents Franklin Roosevelt and Harry Truman but, even then, one wonders if such change is really due to the initiatives of those particular individuals, as opposed to bigger forces at play during the times in which they lived. As such, Koh’s answer of “no” seems to place the Trump administration in the same category as most presidents. (A broader question is whether we are seeing the unravelling of the post-World War II legal order, not just through actions by the United States, but in many other parts of the world, due to forces that extend well beyond the Trump administration.) In any event, the difficulty in permanently moving the country in a particular direction over the past fifty years may suggest “process” constraints that are operating in two directions. So, a further step in pursuing the issue would be to ask whether a “national legal process” theory might be identified by which conservatives are curbing, or could curb, “the excesses” of an internationalist-oriented president. Like Koh’s approach, such a theory would emphasize the roles played by nongovernmental actors, but unlike Koh it would focus on the way in which the presidency is enmeshed in the national legal system of the United States that, in many respects, does not embrace incorporation of international law. Indeed, efforts by conservative academics in recent decades to preclude direct incorporation of customary international law as a source of U.S. law, to prevent treaties from being self-executing, and otherwise to insulate U.S. law from international law may be seen as seeking to create a legal structure that operates as a counter-weight to transnational legal process. Thus, Koh articulates an “outside strategy” for nongovernmental actors, whereby through “interaction-interpretation-internalization” they can constrain the Trump administration (e.g., initiate a lawsuit against the immigration ban, obtain a favorable interpretation from a federal court, and then use that interpretation as U.S. law to preclude such initiatives). Such an approach seems comparably available as an “outside strategy” for nongovernmental actors seeking to advance conservative causes, as might be seen in the amicus briefs filed before the Supreme Court supporting the administration’s travel ban by the Immigration Reform Law Institute or the Zionist Organization of America (though a true analogue would be lawsuits brought by such groups to set aside internationalist initiatives of, for example, the Obama administration). Koh also articulates an “inside strategy” of “engage-translate-leverage” which he employed during his time as an official inside the Clinton and Obama administrations (he also labels this strategy as using international law as “smart power”) Again, such an approach seems comparably available as an “inside strategy” for governmental actors seeking to advance conservative causes, but with an orientation toward nationalist rather than internationalist objectives. Such a strategy might be labelled “unilateralism-rejection of international law as binding-coercive power” (Koh characterizes it as “disengage-black hole-hard power” (p. 13)). Those terms have rather negative connotations, so the conservative instead might cast the strategy as “sovereignty-freedom-strength.” In any event, the conservative would argue that his or her “inside strategy” is not pernicious in nature, but seeks various important objectives: preservation of U.S. sovereignty; the ability of the United States to regulate itself and not be regulated by others; a concomitant desire to maintain values at the core of the American polity (freedom, democracy); a preference for regulation at the local level, even within the United States; a principal focus on U.S. prosperity and not on that of others; and a justified fear of foreign threats in dangerous times. For the conservative, such a strategy does not mean complete disengagement with the world, but instead engagement with sharp elbows, hard-nosed realism, and pragmatic cost-benefit analysis. Arguably such strategies have been employed in the past by conservatives to “curb the excesses” of internationalist-oriented presidents, thereby keeping the United States from being enmeshed in what are viewed as undesirable international institutions and regimes. Thus, while President Clinton authorized the signing of the U.N. Convention on the Law of the Sea, efforts to secure passage through the Senate were unsuccessful, due in no small part to the mobilization of nongovernmental conservative groups against the treaty, which continued into the George W. Bush years (the treaty never even received a floor vote). President Clinton’s desire to secure consent to the Comprehensive Nuclear Test Ban Treaty also fell short in the Senate under pressure from conservative groups. Although President Clinton authorized the signing of the Rome Statute of the International Criminal Court, conservative pressures from within and outside the administration precluded him from even sending the treaty to the Senate for advice and consent, and the United States remains outside that regime. Likewise, the Clinton administration signed the Kyoto Protocol on climate change, but never sent it to the Senate, due to opposition marshalled by conservative groups that led to adoption of the Byrd-Hagel resolution. A similar story may be told with respect to the Obama administration, perhaps by reference to its inability to close the detention center at Guantánamo Bay detention camp or the failed effort to secure Senate consent to ratification of the Convention on the Rights of Persons with Disabilities, both due to opposition from conservative groups. Perhaps ironically, one aspect of the Obama administration’s approach to international law was to “engage” multilaterally, but to disengage nationally, meaning that it often proceeded without the consent of Congress. The administration deemed the Paris Agreement on climate change as capable of being concluded as an executive agreement, thereby obviating any need for the Senate’s consent. The Joint Comprehensive Plan of Action negotiated between Iran and China, France, Germany, Russia, the United Kingdom, and the United States was viewed by the Obama administration as “not a treaty or an executive agreement,” but as reflecting “political commitments.” Yet by not embedding such initiatives more deeply in the fabric of U.S. law (through engaging Congress), it became easier for the Trump administration to disentangle the United States from them. More generally, the decline in the use of treaties, and the rise of the use of executive agreements and non-legally-binding commitments, may reflect a form of “domestic unilateralism” that makes “internationalist” presidential successes in the field of transnational relations more ephemeral than once was the case. Once the Trump administration ends, it would be quite interesting if Koh were to write an article on the ways that he thinks the Trump administration did successfully withdraw the United States from international law and institutions, much in the same way that Jack Goldsmith penned a post-mortem on the contributions of the Obama administration to the practice and theory of international law. Goldsmith depicted an idealistic candidate Barack Obama who, as president, partially changed his objectives due to the realism of his office, but also partially succeeded in his internationalism through the exercise of unilateral authority. In due course, Koh might tell a similar story of Donald Trump in his arc from candidate to president: partially changed objectives (e.g., maintenance of NAFTA, albeit with some modifications), but partial successes (e.g., abandonment of the Trans-Pacific Partnership), maybe with the most enduring ones being those anchored firmly in U.S. law. In any event, a final thought is that Koh is no doubt correct that “what is really at stake is a much larger, deeply consequential struggle between competing visions of a future world order” (p. 2). In thinking through those competing visions, however, it would be good to keep in mind that throughout its history, and especially over the past century, the United States has harbored competing visions of how the United States should relate to the rest of the world (Woodrow Wilson versus Henry Cabot Lodge; Franklin Roosevelt versus Robert Taft; Jimmy Carter versus Ronald Reagan; and so on). One might regard neither vision as inherently correct but, rather, as a part of the fabric of the U.S. political tradition. Though one can point to certain types of conduct as always wrong (for example, the torture of prisoners), between the extremes of conduct advocated for at either end of the political spectrum, there is a wide range of views within the United States as to how best to pursue transnational affairs. Surely the path forward lies not just in considering strategies for one side to oppose the other, but in pursuing techniques for finding common ground between those competing visions.